University of Chicago is shuttering their translation program. Therefore, this will be the FINAL on-site CAT course that will be taught in the *entire* Midwestern US. Normally this course is closed to the public and only students of the certificate can enroll but a rare exception is being made this year allowing anyone to sign up. If you live near Chicago and have not had the opportunity to take a live, on-site CAT course in a professional computer lab, next month is your last chance for training in your area. 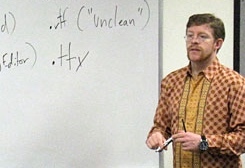 Come join us in Monterey for the annual Web Localization course. We had a large group last year and I hope to have an even larger group this year. I’m planning to add a few updates to the course this year that will reflect some of the most recent trends in website localization. After nearly being shut down during the economic crisis, this course was saved by the efforts of my former students and has a loyal following. 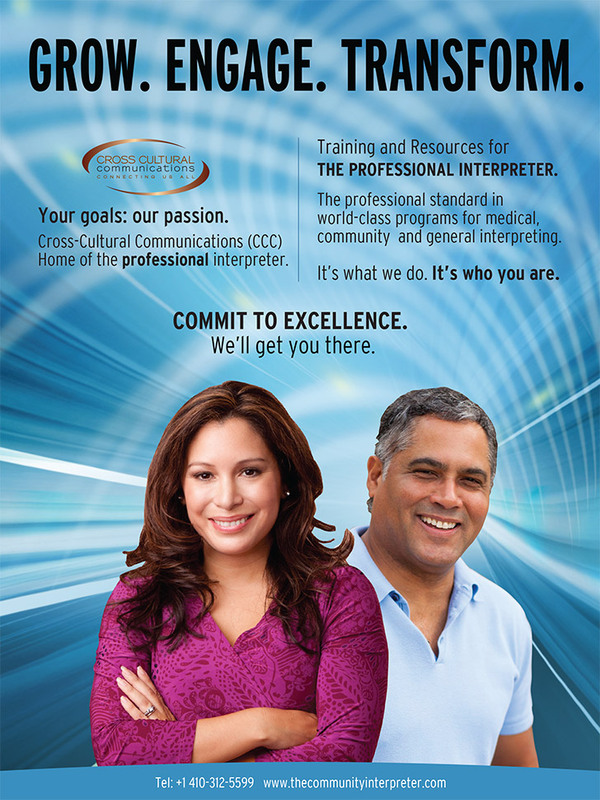 The Monterey course continues to be the *only* publicly open (no strings attached) on-site training for translation professionals anywhere in the USA. Translators are supposed to be, almost by definition, intelligent and educated people. After all, they must know at least two languages and many of them know more languages than just two, while so many people can barely speak one language, including quite a few heads of state. Some translators have graduate degrees in languages, and sometime they have degrees in other subjects that generally pay much better than translating, such as law or medicine. I don’t know why would such people choose to become translators, unless they are convinced that this is something that they were born to do. In my case, at least I have a good excuse – life experience has shown me that translating or managing translations is the only thing that I can do well enough to get paid for it. But intelligent and educated people are not necessarily terribly smart, and many translators provide a perfect example of this interesting fact. Exhibit A: How could translation agencies get away with the monstrosity that they call “fuzzy matches”? This is an ingenious concept that was clearly designed by brokers, namely translation agencies who sell translations originally created by other people, called translators, in order to minimize what a service broker pays to the service provider and to maximize the profit. Is the lower cost in this case going to be passed on to the customer? Do most customers even have the same software that would make it possible for them to determine the extent of these “fuzzy matches”? What do you think? I think that in most cases, they have no idea about the clever machinations in the background. The entire concept of fuzzy matches is entirely illegitimate, deceitful and extremely dishonest, and its purpose, mentioned above, is completely transparent. Is there is a legitimate reason to give a client a discount when large portion of texts are repeated in a translation? Yes, in some cases, although it is very doubtful that for example the lawyer who created the text that is being translated gave the client a break on the price because large portions of a legal template were simply copied into a contract. Is my accountant going to give me a discount for “fuzzy matches” based on a software package that I can force him to buy because every year, he simply copies the same template with the same words in it and only changes the numbers that I supply to him every year to prepare my tax return? If I even mentioned something like that to him, he would quite justifiably think that I have gone completely insane, not just slightly mad as some patent translators tend to do. Even when a discount is warranted, the decision to give a discount and to what extent should be up to the actual service provider. This is not something that should be determined by a software package that is sold to gullible translators and then skillfully operated by a broker to maximize broker’s profit. I do sometime slightly discount my translations, for example when two long, similar patents are filed by the same company, if a long description of “prior art” is simply copied in the second patent application. But whether or not I will give a discount is completely up to me, not up to a broker armed with software, or up to the whim of a customer. We know that translations are not about words. If they were about the translation variable called words, machines equipped with nifty software packages would surely have replaced translators by now because machines can translate words much faster than humans, in almost unlimited numbers. The problem is, translations are about a different variable called “meaning”, and while the variable called “words” can be easily calculated, multiplied, or deleted and manipulated almost at will, there is no way to calculate or multiply the variable called “meaning” with a machine. You can only delete, distort and destroy meaning with a machine because machines are very good at distorting and destroying the real meaning of words that only a human being can understand. Only a human brain can determine this variable, as machines can only understand the meaning that has been pre-programmed into them by humans. Exhibit B: Reanimation of the dead detritus left by machine translation for humans to pick over it during “post-processing” of machine translations. After the translating community fell for the hoax of “fuzzy matches” and other atrocities brought to us courtesy of certain cats o’ nine tails and perpetrated by translation agencies on translators, Exhibit B is now presented as further evidence of a new hoax that is being perpetrated on the translating community as I am writing these words. It is hard to tell at this point. Agencies certainly did a good hatchet job on the translating community with certain CAT features, so convenient for the agencies. First, they promised translators that if they bought and used a predetermined CAT as instructed, instead of being able to translate a mere two or three thousand words a day, they would easily be able to translate well in excess of ten thousand words and thus double or triple their income. That sounded so good, how could translators possibly resist, even though the price of this wonderful tool was quite steep! Once credulous translators did as asked, they were hit with requests for obligatory discounts for various kinds of “matches” and other scandalous schemes designed to reduce the compensation for translators in order to increase the compensation for the brokers. Not all translators fell for this trick. Some managed to retain their independence, even those who work mostly for translation agencies, because not every agency is built on the shylockian principle of wringing as much blood as possible from everything and anything as long as there is a buck in it. Some agencies are run by professionals who are not out to cheat translators out of their money. In fact, whether an agency requires the use of a prescribed tool along with obligatory discounts is a very good indication of what kind of translation agency it is. But many translators certainly did fall for the trick and then came to bitterly regret what they have done once they realized that they have invitingly contributed in this manner to stagnating or decreased rates per word, while the demands for translation volume per unit of time are going through the roof. The new scheme, relatively new since it has been aimed at the translating community already for several years, is the great, innovative tool of machine translation. We are told that editing of machine translations is just another cool tool in our tool box, a tool and a skill that translators need to acquire to be able to compete in the translation market. Machine translation is an excellent tool and most translators are probably using it by now. I certainly use it when it is available. Because most relatively recent patent applications that I translate, whether it is from Japanese, German, French, Russian, Czech, Slovak or Polish, can be machine-translated with a few clicks on the Japan Patent Office, WIPO (World Intellectual Property Office) and EPO (European Patent Office), I automatically print out a machine translation and look at it before I start translating and while I am translating, especially during the initial stage. Although the technical terms supplied by the machine are obviously not always reliable, machine translations do help with terminology research, and they also help me to avoid skipping a sentence or two in highly repetitive paragraphs, a common mistake of human translators that machines are unlikely to make. But I happen to know that trying to edit machine translation would be counterproductive, as it would be even more time consuming than translating from scratch, especially with languages such as Japanese. Even more importantly, if we let a machine dictate the translation to a human being and the human being is only asked to “fix” and “clean up” the pseudo-sentences supplied by a machine that has no understanding of the real meaning of the original text, the result will be always inferior to a real translation created in the brain of a skilled and experienced translator, even if it may look like the real thing. Moreover, the result is also likely to contain a percentage of complete mistranslations flying under the radar of a person who has been turned from a real translator into a “post-processor”. This person is no longer an independent and highly skilled artisan. Instead, her job now resembles quite closely the job of a school janitor who is pushing around a vacuum cleaner, picking up garbage and sweeping the floor. That does not seem to matter to people who are trying to sell post-editing of machine translations as an inexpensive solution to the conundrum of machine translations, namely the fact that these things are not really translations, only suggestions of sentences generated by hardware and software based on algorithms, suggestions of sentences that must be often completely retranslated because otherwise they would make no sense. And of course, sometime they make make perfect sense and be completely wrong. None of that matters to the “translation industry” because the point of the exercise is to do away with the profession of a human translator and replace it by another profession called “post-processor”. Very high requirements are placed on the translating profession if we are talking about translations of highly complicated texts in any of the fields in which human translators are specializing at this point of development of human knowledge, knowledge that has been acquired over many centuries by human beings, requirements for post-processors would be much lower. Unlike real translators, post-processors do not necessarily need to know that much about anything. And since just about anything can be quickly found on the Internet, even a partial knowledge of a foreign language should be acceptable (as long as the post-processor accepts a low hourly wage combined with a high minimum hourly output). The new, very useful skill that translators are enthusiastically encouraged by a certain segment of “the translation industry” can thus be also described as the skill to dig your own grave. I could be wrong, but I have a feeling that this time around, most translators will not fall for the new hoax of post-editing of machine translations. There are so many people on this planet who are desperate to make some money, and some can translate, or think that they can translate. These are the people who are now being trained by “the translation industry” to dig a grave in which most of the translating profession is to be laid to rest for all eternity. I could be wrong, but I do have a feeling that the scheme is not going to work and that translating will survive as a real profession. I believe that most translators, those who specialize in translations that are too important to be left to machines and janitors pushing around vacuum cleaners and brooms, will be doing just fine for another century, or two, at least. The real question is: Given the inherent inferiority of the resulting product, is the concept of the machine post-processing profession economically viable, and if it is economically viable, how long can such a pseudo-profession last? While post-processors may have no choice but to accept being fed peanuts for their mind-numbing drudgery, the brokers will definitely not be happy with peanuts. This question can be only answered by translators themselves. Are they going to cooperate with “the translation industry” in their own demise? They can cooperate if they think that such cooperation will make it possible for them to survive these turbulent times. But it is also in their power to refuse to dig their own grave if they realize that they were born to translate, not to “post-process” garbage that has been left for them by machines.